All Lemon Grove homes currently listed for sale in Lemon Grove as of 04/19/2019 are shown below. You can change the search criteria at any time by pressing the 'Change Search' button below. If you have any questions or you would like more information about any Lemon Grove homes for sale or other Lemon Grove real estate, please contact us and one of our knowledgeable Lemon Grove REALTORS® would be pleased to assist you. "Total remodel in 2015! Kitchen, bathrooms, floor, cabinets, were all remodeled. Crown moldings and custom lighting throughout. Shutter window coverings. Plenty of storage and gardening space. This home is move in ready. Must see to appreciate. Neighborhoods: Lemon Grove Equipment: Garage Door Opener Other Fees: 0 Sewer: Sewer Available Topography: LL"
"Totally renovated home in Lemon Groove features a 3 bedroom, 2 bath 1776 sq.ft home and separate attached 2 bedroom 1 bath 1526 sq. ft unit! Thats like two house for one price! All which sits on almost 1/2 an acre of land! The home has new wood like laminate flooring, carpet, a new kitchen with new quartz counter tops, new appliances, new kitchen cabinets, AC wall units in Living room and master. Large master suite. 2 laundry hook areas in main house and in 2 car garage. Lots of storage, parking and yard! Neighborhoods: Lemon Groove Equipment: Garage Door Opener, Range/Oven Other Fees: 0 Sewer: Sewer Connected Topography: SSLP"
"Beautiful must see, large entryway, Hardwood and Tile floors, 3 bedroom, 3 bath, with some customized rooms and d cor, Living Room and Family Room, two bedrooms and 2 baths on the first floor, and a private master suite, and one bedroom/optional room upstairs, bonus room/with separate entrance, Cozy Backyard, and Solar system. This home has a perfect floor plan for: house guest, visitors, extended family or roommates. Neighborhoods: San Diego Other Fees: 0 Sewer: Sewer Connected Topography: GSL"
"JUST REDUCED! Beautifully remodeled 3 bedrooms, 2.5 baths with vaulted ceilings. Abundant natural light graces the great room with living and dining rooms. Freshly painted inside and out! New flooring and baseboards. Remodeled Kitchen and all 3 baths. Kitchen features Grey Quartz counters, white cabinets, stainless steel appliances; pewter colored fixtures. Cozy Family room has a fireplace and large sliding glass door which leads to stamped concrete patio and large, fenced backyard. 2 fireplaces. 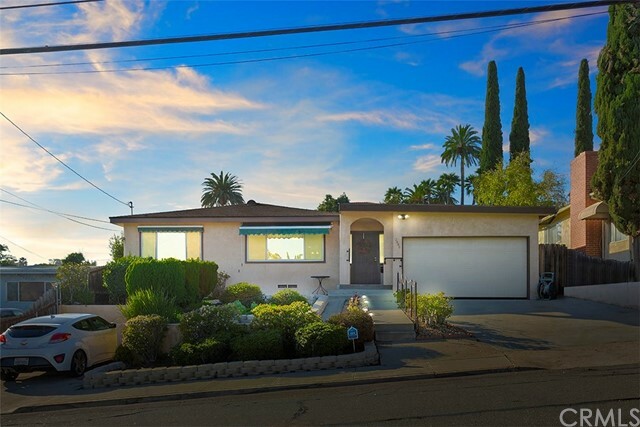 Neighborhoods: Lemon Grove Equipment: Range/Oven Other Fees: 0 Sewer: Sewer Connected Topography: LL,"
"Great well maintained first time home buyer home with large front and backyards fully fenced for privacy. Plenty of parking on the property with plenty of street parking as well. This home is ready to be moved into! Neighborhoods: Monterey Heights Equipment: Range/Oven Other Fees: 0 Sewer: Sewer Connected, Public Sewer Topography: LL"
"4 Bedrooms - 2 Baths - New Paint Inside and Out - Laminate Floors In Living Room and Kitchen - Tile in Both Baths - New Carpeting in Bedrooms - 9 Foot Ceilings - Central Heat (High Efficiency Furnace) and Central Air - Laundry Room - 2 Car Attached Garage - Fire Sprinklers - Fenced Yard - Great House - A Must See - Zoning is RM (Residential Medium Density) Zoning Allows For a Duplex - Room For A RV Neighborhoods: Lemon Grove Equipment: Garage Door Opener Other Fees: 0 Sewer: Sewer Connected Topography: LL"
"Lovely, recently remodeled (less than 10 years ago) traditional 3 bedroom and 2 bathroom home in Lemon Grove. Newer kitchen cabinets, granite countertops, and stainless steel appliances. The family room focal point is a beautiful fireplace with stone adorned hearth. The family room also features gleaming original oak wood floors. The electrical panel was upgraded during the remodel. New vinyl windows were installed throughout the house for energy efficiency and nice aesthetic appeal. SEE SUPPLEMENT. Neighborhoods: Monterey Heights Equipment: Dryer,Garage Door Opener, Range/Oven, Washer Other Fees: 0 Sewer: Sewer Connected Topography: GSL"
"Beautiful 3 bedroom 2 bath, 2 car garage with big front and back yard. Wooden floors throughout the house. Luscious guava and lemon trees in the backyard. San Miguel elementary school only a block away! Near all downtown restaurants and 94 freeway 3 minutes away. Neighborhoods: Lincoln Home Terrace Equipment: Dryer Other Fees: 0 Sewer: Sewer Connected Topography: LL"
"Order the moving truck, because when you see this remodeled single story home you are going to fall in love. As you enter you will gaze upon gorgeous flooring and an open floor plan with large windows that bathe the living room in natural light. The kitchen, dining area and family room flow seamlessly together for ease of daily living. The kitchen features an abundance of shaker cabinets and quartz counters, stainless steel appliances and a large eat-at island accented by pendant lighting. Neighborhoods: Lemon Grove Equipment: Range/Oven Other Fees: 0 Sewer: Sewer Connected Topography: LL"
"Do you want a gorgeous spacious home where you can move in and not lift a finger? This is your home! House has giant grand-room/kitchen with beautiful granite counters, designer cabinets, gourmet stainless appliances, recessed lighting, expensive travertine and faux-wood flooring, two cozy fireplaces, plantation shutters, new dual glazed windows, a low-maintenance yard with a giantic covered patio perfect for garden parties, short walk to trolley, freeway close, near all that charming Lemon Grove offers Neighborhoods: Lemon Grove Equipment: Garage Door Opener Other Fees: 0 Sewer: Sewer Available, Sewer Connected, Public Sewer Topography: LL"
"This quaint 3BD/1BA, recently remodeled home is a must see for first time buyer or a family who is looking to downsize. Centrally located to schools, shopping, churches and only minutes from the freeway. 10 minutes from downtown. Low maintenance landscaping, room for RV parking, finished 2-car garage, indoor laundry, all upgraded plumbing & electrical, sits on corner of small private road with excellent neighbors. New roof installed in 2017. Don't let this one pass you by. Schedule a showing today! Neighborhoods: Lemon Grove Equipment: Garage Door Opener Other Fees: 0 Sewer: Sewer Connected Topography: LL"
"Rarely available! Beautiful views of Mount Miguel from this quiet, end of cul-de-sac, 2 story home in the gated community of Sunset Terrace. Open floor plan has vaulted ceilings, real hardwood floors, newer roof, 2 car garage, pet friendly artificial turf in backyard and solar panels perfect for running the A/C system all summer long. A great place to call home! Neighborhoods: Sunset Terrace Equipment: Dryer,Garage Door Opener, Range/Oven, Washer Other Fees: 0 Sewer: Sewer Connected Topography: LL"
"A fantastic opportunity to own a spacious single story home only a short distance from San Miguel Elementary and Mount Miguel High School, parks, local restaurants, shopping, and close proximity to the 94. 2446 Buena Vista Ave is a wonderfully laid out and spacious home- ready for its new owners! Over-size one car attached garage, and RV parking with full hook-ups. The interior features original oak hardwood floors throughout, upgraded kitchen with granite countertops, newer cabinets with glass display and peninsula island with bar seatings . Permitted family room was added by the previous owners, double pane windows throughout, newer garage floor, newer water heater, water softener hookup, and copper plumbing throughout house. The hallway bathroom was upgraded with a modern finish and ready to impress! Step out to the backyard and notice the wonderful existing planters and plants. There is a lookout deck Deck built with Trex wood in 2007 for you to take in the gorgeous views of the valley!" "COMPLETE REMODEL! Beautiful home full of character and charm. NEW kitchen cabinets, appliances, doors, windows, flooring, paint, light fixtures, and more. LARGE yard with tons of potential: bbq's, garden, RV/Boat parking, etc, etc. Laundry room on the first floor, pantry, MB with Mbth, additional storage around back, and a front yard with your very own white picket fence. Fully fenced mostly flat LARGE backyard offers you all the potential you need. Close to I-94 and S-125. THIS IS A MUST SEE. 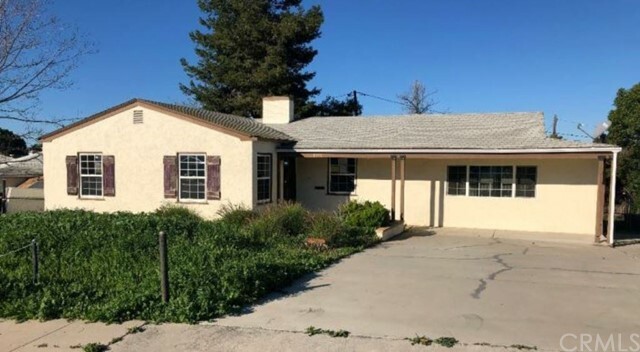 Neighborhoods: Lemon Grove Equipment: Range/Oven Other Fees: 0 Sewer: Sewer Connected Topography: LL,GSL"
"Don't miss out on this adorable 3 bedroom 2 bath cozy home sitting on a large lot. Fully renovated with 1060 square feet of brand new laminate floors throughout and fresh paint. This home offers an open floor plan with family room and kitchen featuring tile backsplash, new cabinets and stainless steel appliances. Don't forget the great perk of having a separate laundry room with washer/dryer hook-ups. Build your dream back yard, there's room for everything - a pool, RV parking, space for dogs, etc Neighborhoods: El Prado Equipment: Range/Oven Other Fees: 0 Sewer: Sewer Connected Topography: GSL"
"Rare find in St. Francis Park HOA. Great location near the 125, 94 and 54 freeways. This well maintained home sits on a corner lot on a cul-de-sac in this development. New kitchen appliances. The backyard is ready for kids, pets and entertaining. Large master bedroom with walk in closet. Bedroom #2 is spacious with a walk in closet as well. Neighborhoods: Lemon Grove Other Fees: 0 Sewer: Sewer Connected Topography: LL"
"Back on the market. 4 Bedroom upgraded home in Lemon Grove! Backyard has plenty of space to make it your own. There's another room next to the garage which can be several things: a granny flat, man cave, office, or kids room. Located close to the 54/125 freeway. No mello roos. No HOA. Move in ready! Neighborhoods: Monterey Heights Other Fees: 0 Sewer: Sewer Connected Topography: GSL"
"Opportunity is knocking. Light fixer in a great Lemon Grove neighborhood, Located at the end of a quiet cul de sac on a large pie shaped lot. Bring your tool box and turn this cosmetic fixer into a jewel. Comps are running in the mid to high $500s. This property has a panoramic eastern view. Seller is moving out of state and wants it sold. Solar system to be assumed by the new owners (attached). Seller is paying approx. $150 per month. This is a fantastic opportunity! Neighborhoods: Lemon Grove Other Fees: 0 Sewer: Sewer Connected Topography: LL,GSL"
"Beautifully work shop in huge backyard. Buyer to verify all info before COE. All offers considered, motivated seller. Neighborhoods: Bond Terrace Other Fees: 0 Sewer: Sewer Connected Topography: LL"
"Built in 1947, this single family residence features three bedrooms and one bath. Great property on a quiet residential street in established Lemon Grove neighborhood. Garage has been converted to a family room (possible unpermitted-buyer to verify). Hardwood floors and upgraded kitchen." "$399-$419k Great investment opportunity, Owners did some remodeling and remainder all up to you! They did remodel kitchen w/granite counters, new fridge/range-over, sink, slate floor. Bath has new vanity & tile floor. Rest of house needs upgrading but great bones. Cast iron plumbing was replaced with ABS. original hardwood floors. Bring your imagination and toolbelt! HUGE backyard, coy pond. LOTS of parking including boat parking in driveway. Neighborhoods: Monterey Heights Equipment: Range/Oven Other Fees: 0 Sewer: Sewer Connected Topography: LL,GSL"
"Price Improvement! Nice shaded corner lot with a main house 2/1 and a large self-contained permitted Granny Flat attached to the Garage with. Fenced back and side yard. Main house has laundry room, hardwood floors and fully fenced. Good for starter and Investment. Bring your clients and see! Neighborhoods: Lemon Grove Architectural Style: Craftsman/Bungalow View: Craftsman/Bungalow Equipment: Range/Oven Other Fees: 0 Sewer: Sewer Connected Topography: LL"
"Best price/value in Lemon Grove. Don't miss this opportunity to own this beautiful move-in ready 1 story. It's minutes to SDSU, downtown San Diego, & beaches. Highlights include: a modern kitchen & bathroom, new flooring, windows, electric panel & Solar Panels. Perched above a quiet street enjoy pleasant views & yard, perfect for entertaining friends & family. Features generous setbacks; few side/rear neighbors; & no neighbors across the street. Located in San Diego Homebuyer Assistance Program Zone. Neighborhoods: Lemon Grove Equipment: Range/Oven Other Fees: 0 Sewer: Sewer Connected Topography: RSLP,GSL"
"This Single Family home is a diamond in the rough and is priced below comps. Located on a sizable 7,000 sq ft lot. New windows installed approximately one year ago. Close to parks, schools, shopping, and easy access to Hwy-94 and Hwy 125. Only twenty minutes to Downtown San Diego, Coronado Island, and the San Diego Zoo. Property needs some TLC and has significant potential! Neighborhoods: Lemon Grove Other Fees: 0 Sewer: Sewer Available Topography: LL"